Five new 15mm Fantasy Scenic packs released! Yes! Scenic items in 15mm scale for Fantasy and Historical wargaming! We are delighted to announce the release of five brand new packs of 15mm scale white metal scenics into the HOT 15mm Fantasy range at 15mm.co.uk. A new part of the range. Designed by Elton Waters these five packs contain multiple of pieces suitable for dungeon quests, dioramas, base or element decoration and for scattering on your wargames table or tiles. On top of this we have an offer on these packs which lasts until Thursday 23rd June. The offer is 15% off the regular pack prices! Go HERE or read on for more details and pictures. 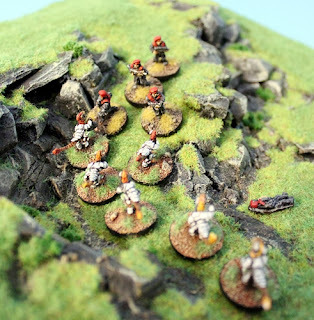 In our scale shots of each pack you can see an evil knight (17mm tall) on a 20mm square base) standing among the scenics to give you an idea of their size. This miniature is from the new HOT104 Anti-Paladins. 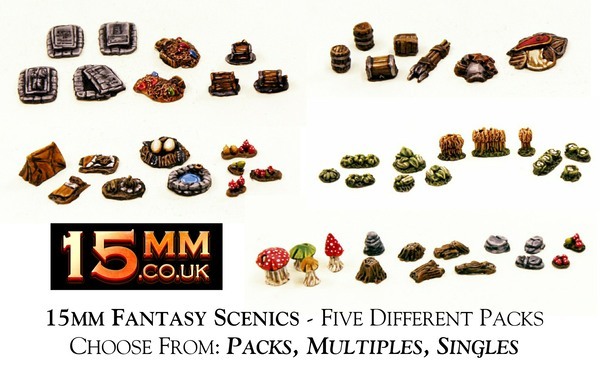 The HOT Range contains over one hundred different packs of miniatures covering a dozen fantasy ranges and thirty monsters all in 15mm scale. 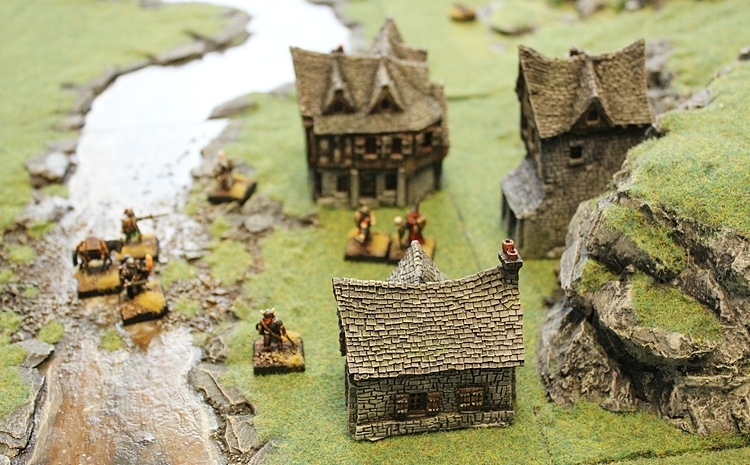 We also have the HOB 15mm Fantasy Buildings range of Human and Orc structures which go excellently with these new 15mm fantasy scenics. Follow the links to see more. Three new free USEME sci-fi scenarios by Vic Dobson! All of us at 15mm.co.uk are delighted to present to you three new free scenarios written by veteran wargamer Vic Dobson for the USEME rules system. 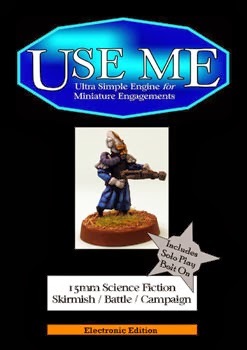 Ideal for use with UM001 USEME 15mm Science Fiction the first title in the series (you can get this and the other USEME titles as paid for downloads as well from HERE) these three scenarios are based around Vic's collection of miniatures taken from the HOF range, the SHM range and the Loud Ninja Games range of figures. Click on the links to visit these ranges and the rules system. 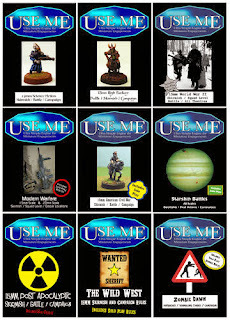 There are near a dozen titles in the USEME range of wargame rules covering many genres. Download the three scenarios from our dropbox account in a zip file by clicking on this link HERE. Each of the scenarios presents a different challenge and level of complexity and playing time. Here is a quick run down of each of them. Recon Run is a two player game of USE ME. In this small game two reconnaissance teams encounter one another and battle to gain information whilst denying it to the enemy! 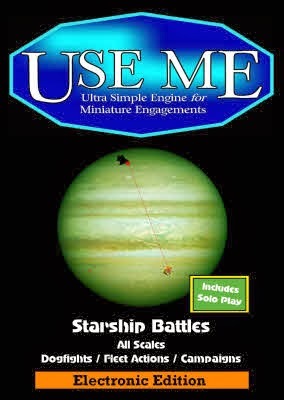 The Raids a two player game of USE ME. 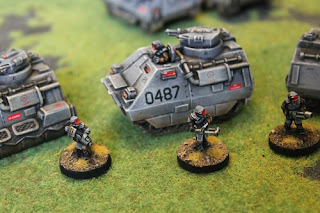 In this small game a small but elite Chuhuac special operations’ strike team endeavours to destroy a shield regulator defended by the local planetary security teams. 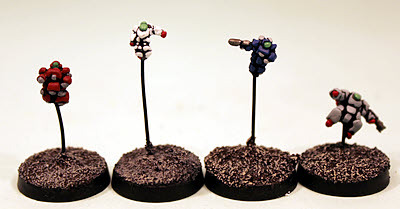 Designed by Eli Arndt our small range of Fleet Scale Mecha which is also useful in 6mm scale is currently 25% off its normal price per sprue (4 or 5 Mecha) until the end of June 2016. Two different codes. You can see there all HERE on their own page or go HERE for the full Deals and Offers page which has this offer plus a lot of other ones covering 15mm Science Fiction, 15mm Fantasy as well as Horror and Buildings and Scenics. You can use these excellent little mechs with UM006 USEME Starship Battles which can be found HERE on the website in print or HERE on our blog as a paid for download. Excellent fun and value too.